In order to understand how much work, blood, sweat, and tears Hextall has given to the Flyers organization over all these years, you'll have to go back to his playing days as a goaltender. Hextall protected the Flyers' net for 11 years over two spells with the club. He was drafted in the 1982 NHL Draft as a 6th round pick of the Flyers, #119 overall. Hextall would go on to become arguably one of the most entertaining, and aggressive, goaltenders ever. Even though he was a goalie, he was still just as mean and intimidating as the rough and tumble Broad Street skaters who played before him. While never winning a championship with the club, Hextall was still admired for his dedication to the Flyers and for all of those punches he threw at the opposing team's players, and yes, for the saves he made on a nightly basis. Hextall finished with a career goals against average of 2.98 and a save percentage of 89.5%, but his contributions to the Flyers extended from the net out. 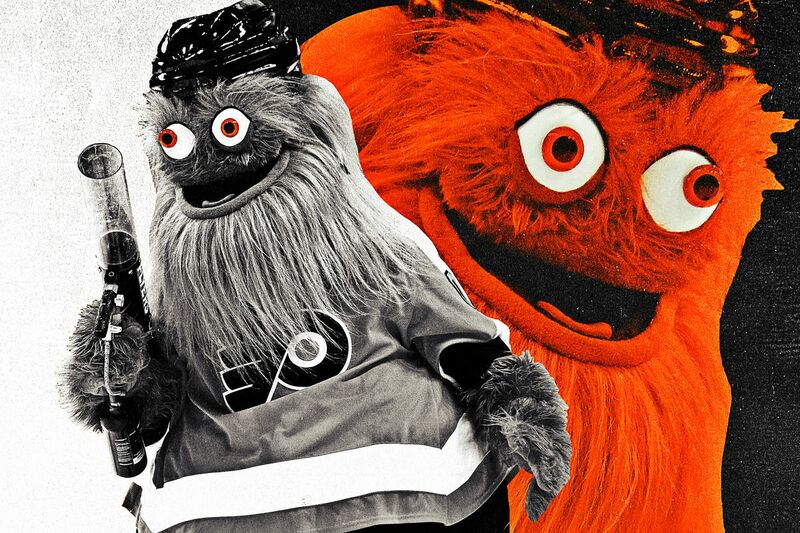 Sure puts ol' Gritty to shame, doesn't it? While Hextall was an aggressive and reckless goaltender during his playing career, as a general manager he's been the complete opposite: calm, patient and strategic. After retiring from the NHL in Hextall did what most former players do: head to the front office. He worked his way up the scouting ranks of the Los Angeles Kings, eventually learning the general manager's trade from former mentor Dean Lombardi (who I might add is being considered as Hextall's replacement. Go figure.) as an assistant GM to him in LA. In the summer of 2012, Hextall, and the Kings, would go on to finally win the Stanley Cup. Winning a championship and learning from Lombardi, as well as his familiarity with the Philly crowd, is what gave Hextall the credentials to be considered for a GM position. Hextall returned to the Flyers with his ring in hand and began to learn from his next mentor, Paul Holmgren. I'm sure, by now, you know how this turns out. 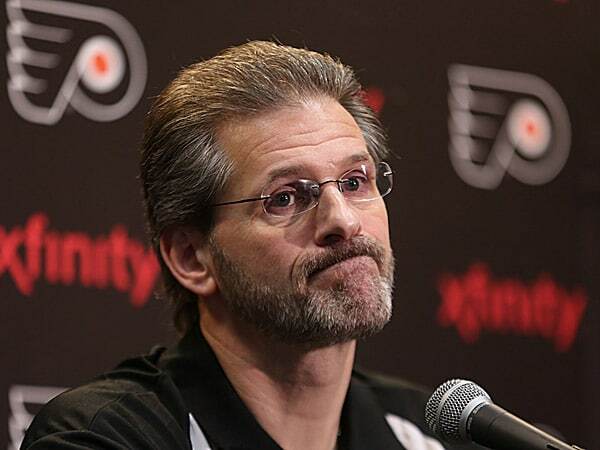 On May 7th, 2014 Hextall was promoted to general manager, replacing Paul Holmgren, who was subsequently promoted to be the Flyers' new team president. At the time of his firing, the Flyers were nowhere near the Stanley Cup, that's for certain. However, there's a lot of questions surfacing over the Flyers' philosophical approach to the salary cap era of the NHL. The Flyers aren't builders, they're conquerers. That's why the Flyers organization expects--and even demands-- to be a playoff team every year. The Flyers are a team that's always had the win-now mentality. They'd get the results, whatever the cost. It had always been late owner Ed Snyder's way, and Holmgren saw to that as both his own time as general manager as well as now serving as the team president. Four years of making the playoffs, then missing them completely the year after also likely spelled trouble for Hextall. Over his four-year term of the team, he failed his ultimate goal of consistently making a deep run in the post-season. The two biggest complaints concerning Hextall's reign was his refusal to fire head coach Dave Haksol, a guy hired straight out of the college coaching ranks with no previous NHL experience, and his inability to solve Philly's goaltending graveyard. The Flyers have flipped through several goalies since Hextall's retirement as a player (Brian Boucher, Martin Biron, Ilya Bryzgalov, Steve Mason, Michael Neuvrith, the list goes on....) and no one's been able to carve themselves into Flyers' fandom. Instead, incumbent starter Brian Elliott often deals with harsh criticism and the occassional boo birds. Elliot was a free agent signing of Hextall's and, considering how competitive the goaltending position is, could have potentially found a stronger candidate via trade and/or free agency. And yet, Hextall didn't succumb to the pressure from his fans. No, unlike traditional general managers who see backlash to their own head coach as means that their own job is on the line, Hextall stuck to his hire, reaffirming his belief in Hakstol's capabilities and his team at the time, saying that despite the loss they "battled". Hakstol's coaching record now sits at 132 wins, 98 losses and 40 overtime losses and two trips to the playoffs. That being said, he never got the Flyers past the first round and his players were far too inconsistent on the ice for the front office's liking. Now, Hakstol sure looks like a sitting duck behind the Flyers bench. The new general manager, possibly former Minnesota Wild GM Cliff Fletcher, left to decide his fate. Once his higher-ups got a taste of what could be a contender, the Flyers missing a chance at the Stanley Cup every season was not going to be tolerated With that in mind, Holmgren and Hextall no longer saw eye-to-eye on the team's structure, whether it be because of his loyalty to his coach, or his unwillingness to trade his core players and/or wealth of prospects for aging assets. But Hextall's way was to take the Flyers franchise in a direction it had never gone before: from constantly contending to patiently building. Several of Hextall's draft picks make up the Flyer's emerging young core: Ivan Provorov is now their top defenseman and fellow top four blueliner Travis Sanheim. Nolan Patrick is developing nicely as a two-way center as is Travis Konecky, who has shown flashes of brilliance. And the Flyers also look to have a solution to their goaltending woes waiting in the wings with Carter Hart developing in the minors. Translation: "Hex, you're supposed to trade young players for old players! We're the Philadelphia Flyers for crying out loud!" Holmgren and Hextall were never on the same page to begin with, and perhaps Hextall was resentful of the difficulty he endured from cleaning up his boss' salary cap mess. Now a team with ample salary cap space, it took Hextall the first couple of years of his time as GM just to rid the team of Holmgren's era. Hextall was just starting to put his stamp on the team. Whether or not Hextall can build a winner is up for debate. But what cannot be contested is how well Hextall understands and manages the salary cap and team, how well he drafts and develops players, and how loyal he is to whomever may be running his bench. Those sound like the ideal qualities of a general manager to me, or at least for a team in need of a rebuild. But then again, that's just doesn't seem to be the Flyers' view. Besides, Holmgren must've done at least some good to have been promoted to team president. Right?